Ahhhh, it's been a while since my last NOTD post, hasn't it? WHAT HAS HAPPENED TO ME??? Huhu. 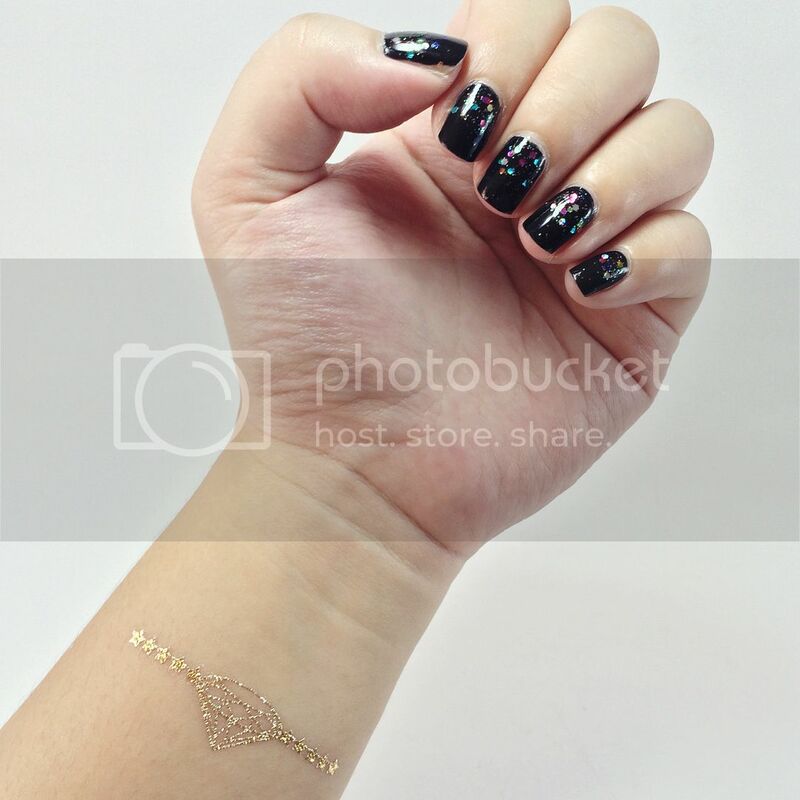 Anyway, if you've been a long-time reader of this blog, you should know that my favorite trick for instant nail art is using glitters. The real trick there, though, is that you don't apply the glitters on your entire nail. I usually just do the tips or the upper half, and if I have time to spare, I throw in a fading effect. You've seen me do it a lot of times already. It works all the time! And because I've been so busy lately, it's the only nail art-ish thing I can afford to do. 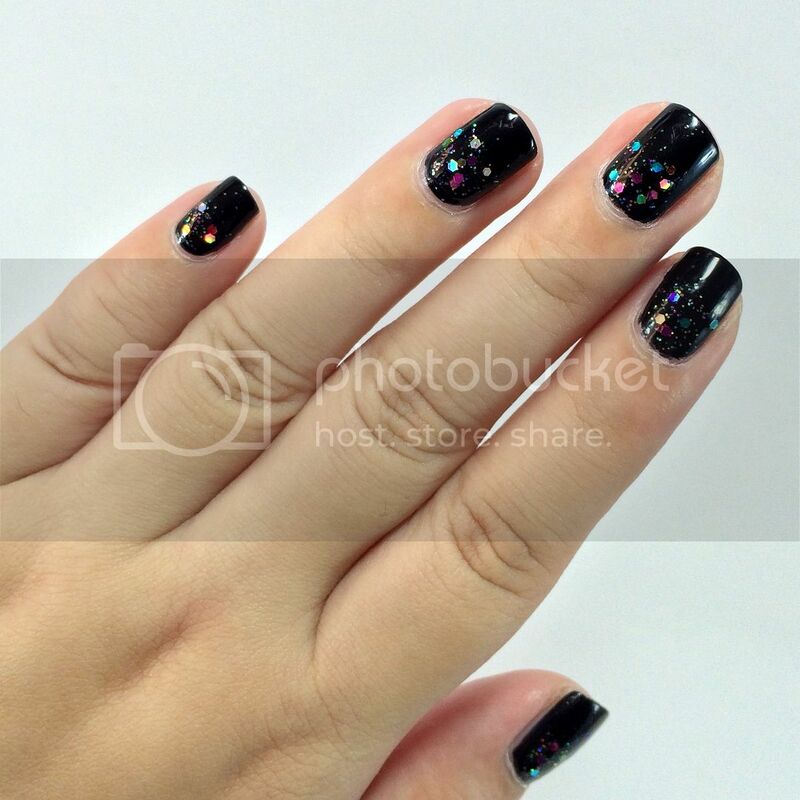 This time, instead of doing the tips, I applied the glitters on the lower half of my nails. 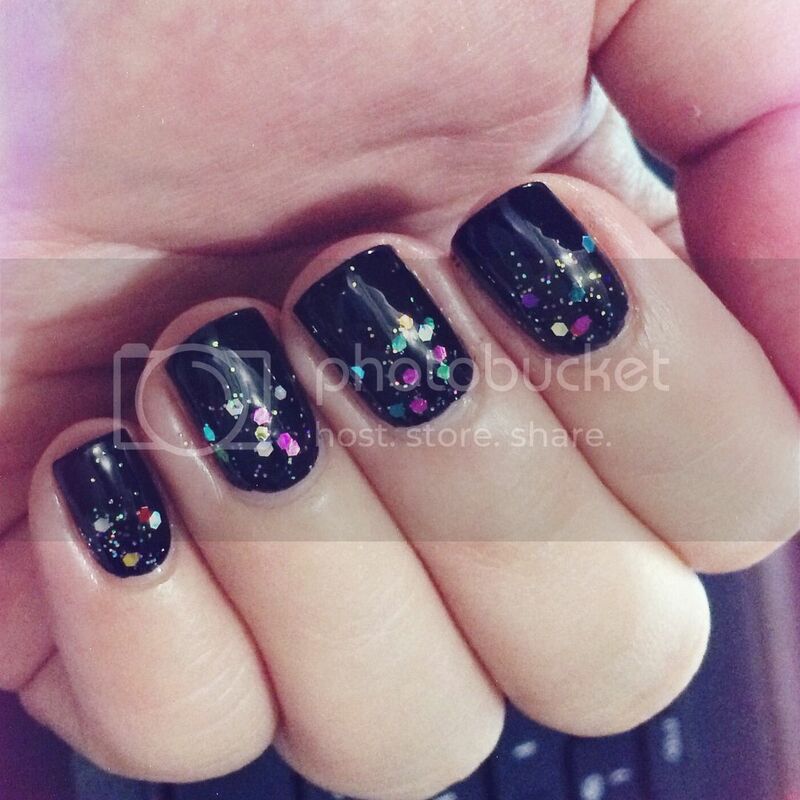 I sported these nails when I went to see Demi Lovato's concert here in Manila two months ago. YES, I'M A HUGE FAN adajsgdlkjahgasdlhg. You guys have no idea how excited I was!!! The moment I found out she's having a concert here, I said to myself I HAD TO GO. Couldn't miss it for the world. Anyway, I chose a Nature Republic black as my base to go with the whole Demi theme. I remembered the chunky colorful glitter polish that I bought from Singapore and used that. The combination was perfect, so neon lights-ish. I'm so proud of myself too for the neat and almost perfect application of black polish. A first! Oh, let me show you this too. 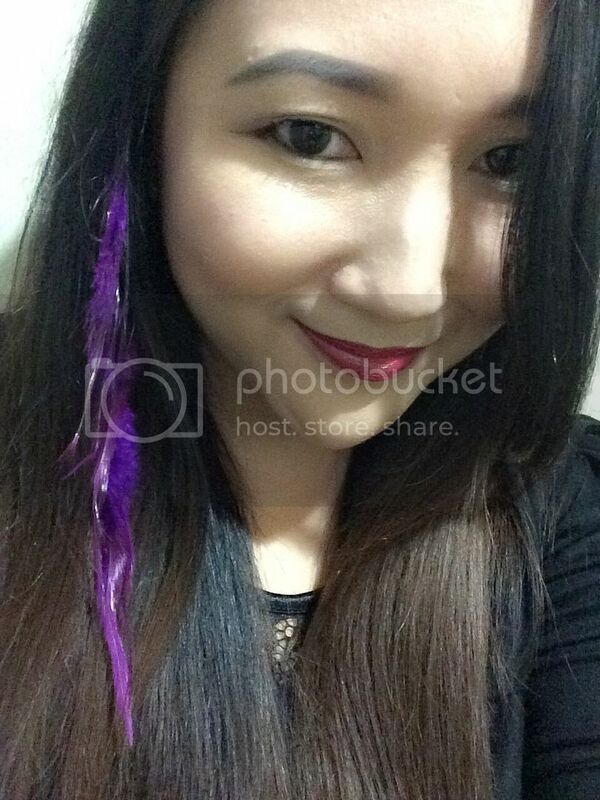 I wasn't able to hair-chalk my hair purple in time for the concert, so I settled for purple feather extensions instead! Hihihiiiii. 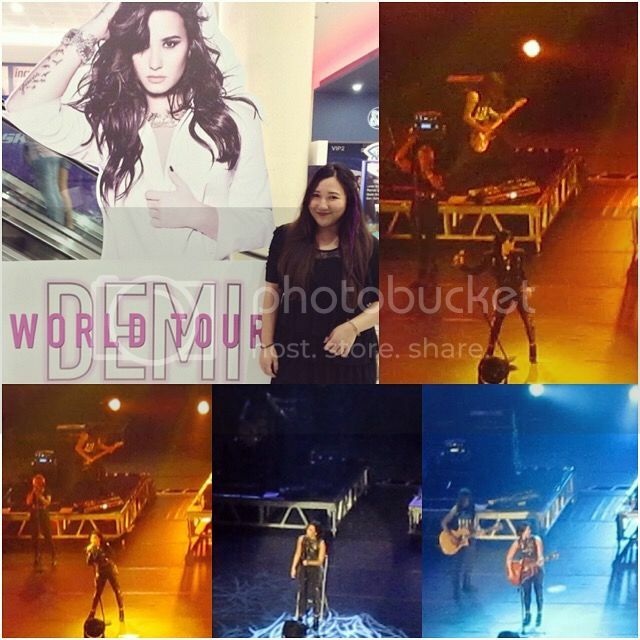 Hearing Demi sing my fave songs of hers live is definitely one of the highlights of my year. I'm looking forward to doing it again next time she comes here!